Whether you are treating yourself or a friend we have beautiful gifts to suit all budgets. For gardeners we have posh gloves, secateurs, tools and of course wonderful plants. For garden admirers there are outdoor lamps, candles and made up pots. For the home there are ceramics, including locally made Jane Hogben mugs and jugs. 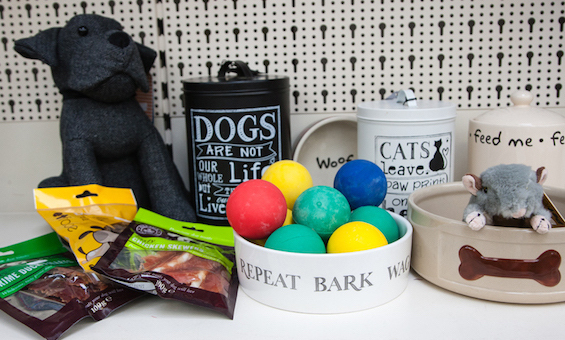 For our canine friends we have toys, treats, accessories and exceptionally comfortable beds. And there are greetings cards for all. We specialise in made up pot and basket arrangements, all made on site at our Potting Bench. Throughout the year we hold Pot and Basket Workshops where you have the pick of all our plants, learn a few tips and leave your mess at Rowan. Check our Facebook page for future dates. Lots of it! We'll always load your car for you. 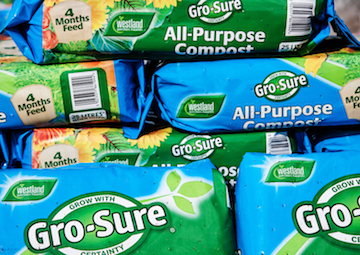 Plus we have fertilizers and chemicals and we can help you choose the right one for the job. 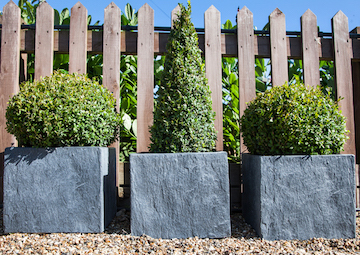 A great selection of large and small outdoor pots; terracotta, glazed and lightweight fibreglass. Birds are well catered for at Rowan. 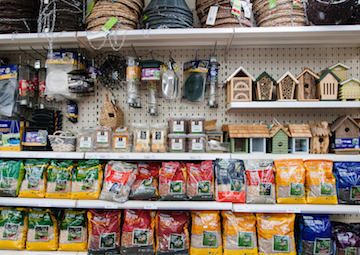 We even stock local farm produced bird food. 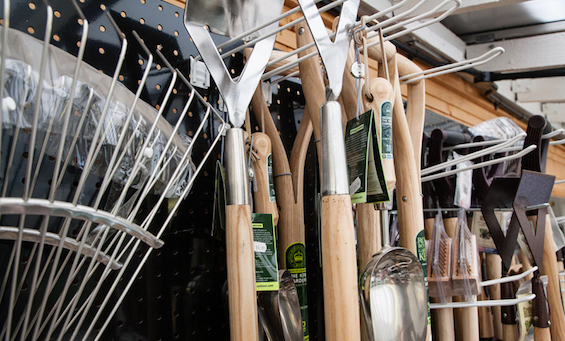 A wide range of gardening tools are available. Ask If you need help selecting. From leads and collars, to beds and treats everything your canine friends' heart desires. © 2019 Rowan Garden Centre. All Rights Reserved.